For better or worse I thought I would share a lesson I just learned. This greatly supports the fact that I am certainly not perfect or even smartJ so I thought I would share it all with you in hopes that you will learn from my mistake. I had no good reply, I really asked it with the best intentions and have prayed for my friend but the truth is when my heart is in the right place I should want relationship with people and should want to encourage and push them wherever they are in their walk. Next time I will just call or email the person and show the care I claim to have. I realized I hid behind encouragement and prayer out of a fear for interaction and iron sharpening iron which may take more effort and not be as easy or natural but is right and a better alternative. Lesson Learned! Well last night at 12:30 am my beautiful wife and I got back from Momentum in Mississippi. We had to take the van back though and drove clear to the place and remembered we had left the seat we took out for luggage at the church. We than drove all the way back to the church and than back to the van place getting to bed at 3:00 am. Today when I awoke at 2:00 pm we started doing laundry and packing because I leave again on Sunday afternoon for Winona Lake, Indiana and the Equip Conference. Our whole staff and some wives are going. I am excited because it is the two year anniversary of me meeting the staff for the first time and I love them more everyday. I am so blessed to work with and for the pastor’s I do and let them stretch and mold me. Evetually (next week) when the summer craziness comes to an end I will post on travel, what God has been teacing me, summer music and much more. Till that time……. I am at the Momentum Conference this week In Mississippi. I know it will be a great week and I was already challenged through Francis Chan last night. Today I get to teach a breakout “sponge session” on media. I am excited to get to share my heart and things I have learned. Maybe some of the people reading this will be in my session. Drop me a line and say hello. I think everyone at our church under 30 is pregnant or is having a baby. In September my wife and I started the “young couples with out kids” small group at our church. That didn’t last long! 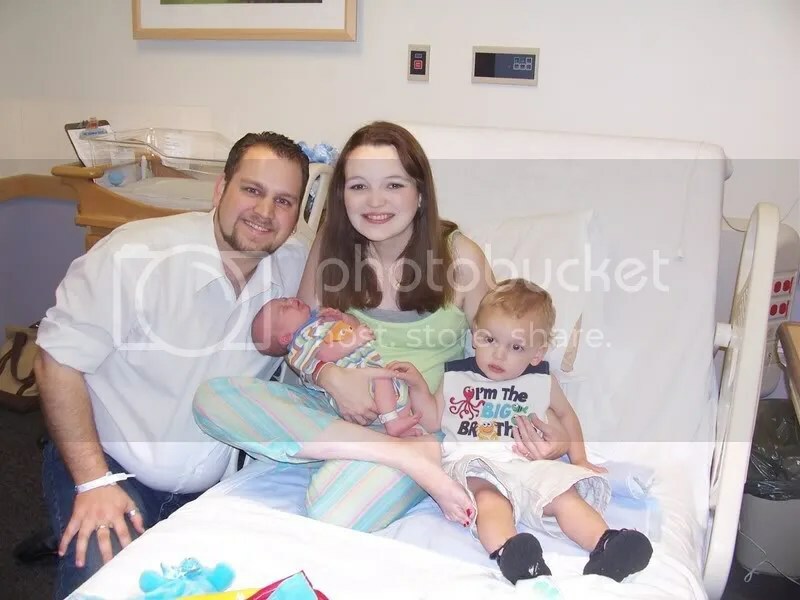 Two of the couples (Lewis and Reinstutle) have had babies in the last two months. Three more couples are pregnant in the group, not to mention that Godshall’s and Jone’s recently had babies. OH and the Kary Oberbrunner’s should have by Monday. I have lost count, but add this to the list…….Sinzinger Baby number 2! Congrats to the proud parents and check out the link to Brittany’s blog. Two weeks ago I spent the week at Beyond camp for middle schoolers. I went to get to know our middle schoolers and have a head start when they get to high school (my official area of responsibility). It was an awesome, tiring, eye-opening, rewarding, fun week. I feel like I know our middle schoolers on a whole other level now and where they are in their struggles and what they think God is calling them to this year. That is huge! Praise the Lord for the chance to go. This past weekend I traveled to Pennsylvania to my little brother Danny’s wedding. I was the co best man and DJ. It was a surreal weekend and so fun on many levels. My dad was a ton of fun this weekend which meant alot. It was neat to see the inner circle of guys my brother has developed and had in his wedding party. And finally, it was great to just be reminded of what a great girl he found in my sister Jess. I have been out of the office but not off the job. While in PA, I also got to stop in and see two of our students on Operation Barnabas and our friend Courtney Cherest. And tonight as soon as I got back I was able to check out the Roth’s summer bible study at their house. I was very impressed. Our church is doing a series on the book of Colossians (more to follow on that in a later post) so Kristin and I are reading through and discussing it at leisure. Today we read chapter 3. I won’t insult your intelligence by telling you what it says. I think it is a pretty up front chapter so just read this and hopefully it challenges you like it did me.